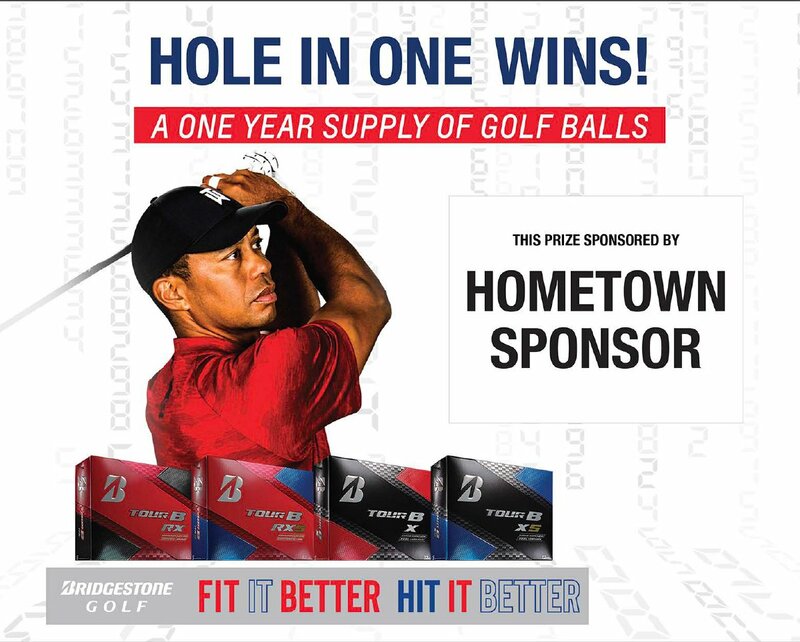 - Three additional bonus prizes to use at your event from Bridgestone Golf, TravisMathew and Cobra Golf. Slider not compatible with all browsers. Use Google Chrome or Safari for best experience. 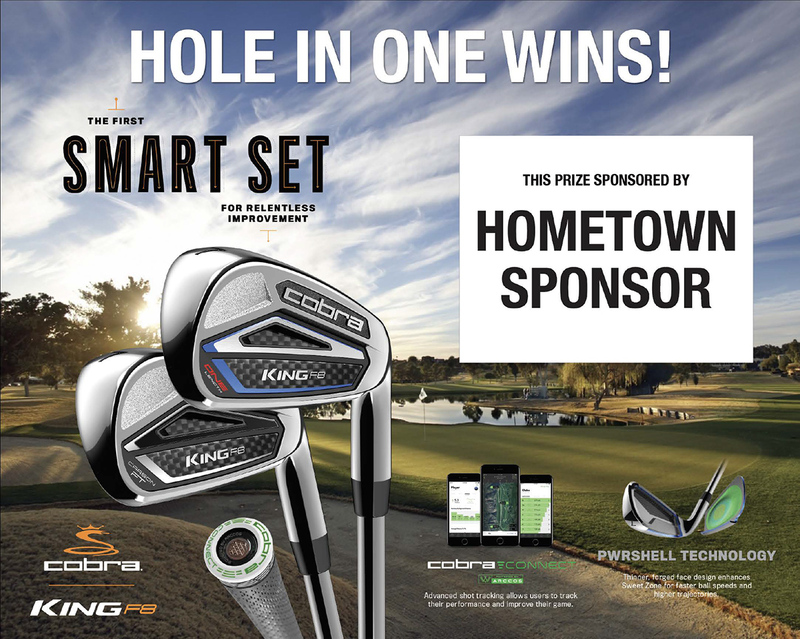 The winner of our Cobra King F8 Irons bonus prize will receive a set of Cobra Golf’s top of the line irons that includes “COBRA CONNECT,” GPS technology that measures and tracks your shot. You get #5 Hybrid as well as 6 through Gap Wedge. That’s 7 clubs valued around $1,000! Bridgestone Golf prides themselves on their unique ball fitting technology, giving each golfer the ball needed to elevate their game. This ball fitting opportunity is available to you to find the ball that best fits your game. The winner of this prize will receive 12 dozen golf balls and a fitting to get the right ball for your game. TravisMathew offers exclusive men’s apparel for both on the course and off the course play. To view their collection, visit TravisMathew.com. 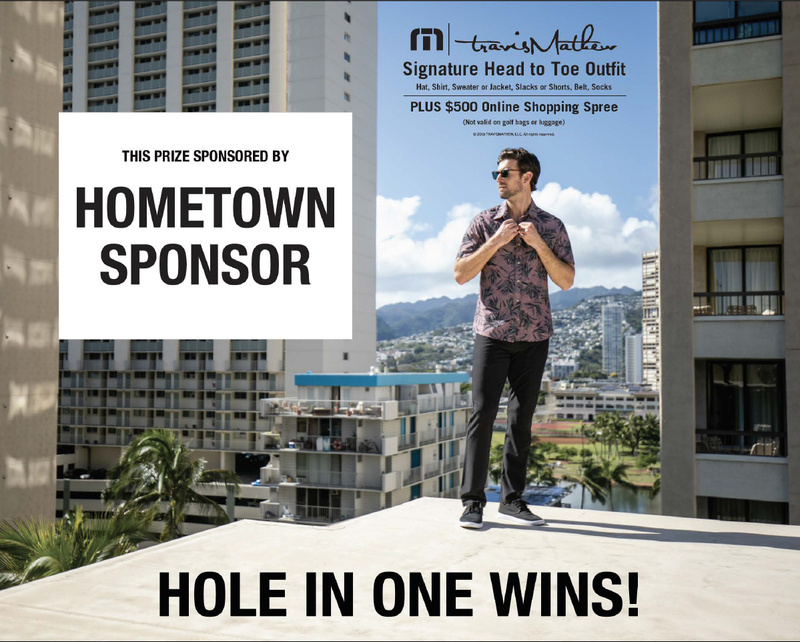 The winner of our TravisMathew bonus prize will receive 1 complete outfit as well as $500 to spend at TravisMathew.com! This bonus prize is valued around $1,500. We cover the cost of the selected prize and assume full responsibility should someone make a qualifying Hole In One. Capture the attention of your unique audience and let us cover the risk. Let us help protect your event from unseen weather conditions and cancellations. We offer 24-hour turnaround time for high-quality, long-lasting signs using our state-of-the-art, in-house printing facility. Signs at every par 3 informing golfers of what they can win. If you’re ready to add on the most exciting hole in one contest on the market to your tournament, give us a call at 855.407.9152 to get a quote today. In addition to our main prize packages, we offer bonus prizes. Bonus prizes are the prizes on the other par three holes – the ones without the grand prize that still give your participants the chance to go home with a prize of value. Our bonus prizes include gift packs, vacations, a golfGPS, and TVs. Best of all, bonus prizes come as part of your hole in one insurance package! National Hole-in-One is the world’s largest provider of hole in one insurance coverage. We benefit thousands of charitable organizations each year with the very best service. As your partner, we’ll help you create a successful hole in one contest and offer big prizes to your participants. You’ll get more for your money with our hole in one insurance coverage, as we cover the cost of prizes, exciting bonus prizes, and high-quality signage. For your peace of mind, we are underwritten by A+ Rated Great American Insurance Group. We pride ourselves in providing a comprehensive hole in one insurance coverage, along with world-class customer service. Allow us to answer all your questions about hole in one golf shot insurance and walk you through the process to make your next tournament or charity event a success! 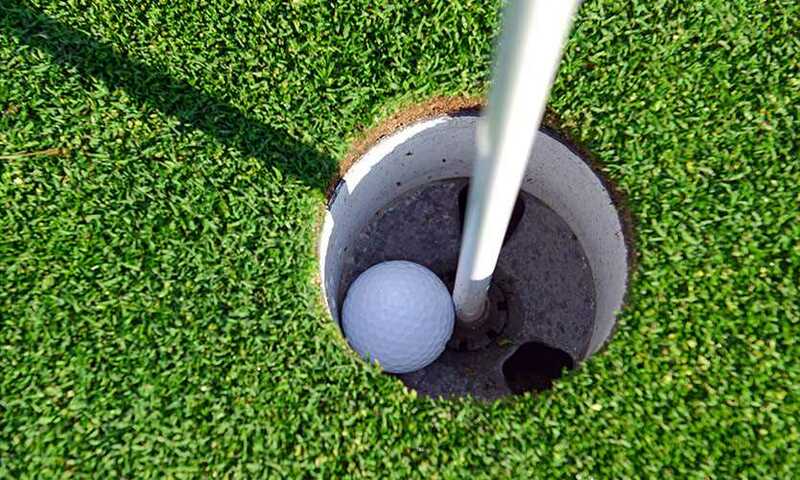 At National Hole-In-One, we understand that everybody wants to get the best deal for their hole in one insurance. That's why we offer a price match guarantee. We will match or beat ANY price offered by a different Hole in One insurance company! In addition to our hole in one insurance coverage, we can help you plan a number of sports promotions that are designed to drive traffic and increase sales. From football promotions to basketball, baseball, and hockey promotions, our sports promotions are designed to give contestants a chance to win big prizes during exciting contests like score predictions and half court shots! Best of all, if someone should win, we’ll take care of prize fulfillment! Getting started with National Hole-in-One is easy. To provide you with a quote, we need the number of players at your tournament, the value of the prize awarded for a Hole in One Contest, and the yardage of the hole(s) on which it is offered. Visit How Does Hole In One Insurance Work for more information or check out our frequently asked questions about hole in one golf shot insurance, everything that a hole in one insurance company can provide and any other questions you may have about hole in one insurance.